Today I went to Uckfield to wander around some charity shops to see what I could find as there are many there, including one shop which often sells 6 children’s books for 99p! Today I managed to get an absolute bargain. It was buy one get one free on children’s books, so I had a good rummage. I picked up ‘Cosmic’ by Frank Cottrell Boyce as it said on the front that it was shortlisted for the CILIP Carnegie medal in 2009 and the Roald Dahl Funny prize. I really enjoyed Dahl and Walliams so I thought that this would be a comic winner. 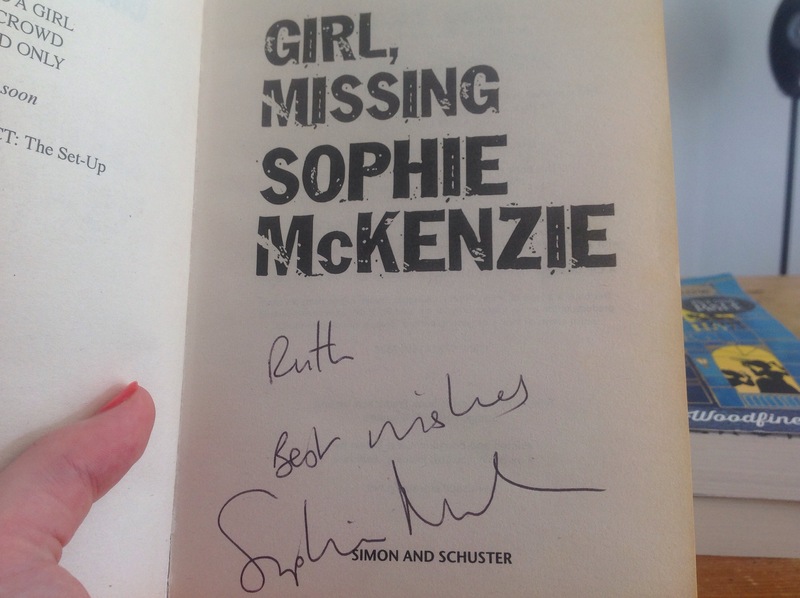 The second book I picked up was ‘Girl, missing’ by Sophie McKenzie, winner of a Richard and Judy children’s award. I recognise her name and saw that it was 75p, so bargain! With the BOGOF offer, I got 2 books for 75p! The best part of it all is that when I got home, I looked inside and saw that ‘Girl, missing’ was signed by the author!!! Although I’m not called Ruth, it’s still pretty cool! Although these only run in the summer as they are mostly outside, you can collect enough bargains for the rest of the year. Books tend to range from 10p to £1, but there is always a bit of leverage when haggling! I don’t know how I managed to be so lucky, but I have also found some signed copies of books at boot fairs too! 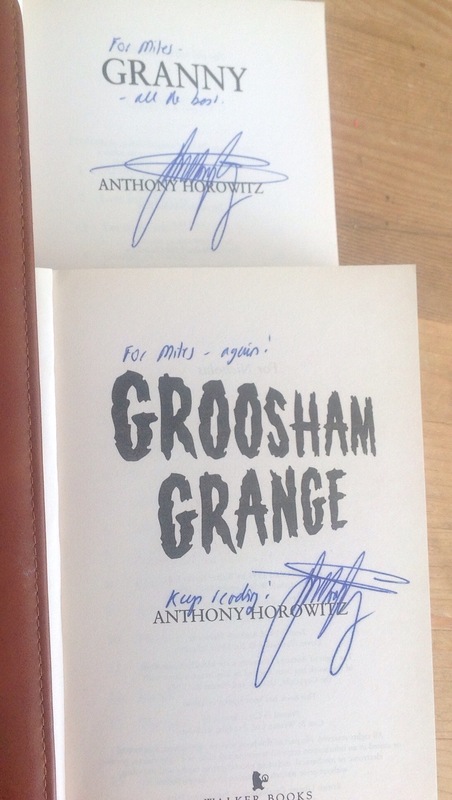 I managed to get one of my favourite authors Anthony Horowitz. Only 50p – amazing!! Again, my name is not Miles, but it’s still cool! Previous Post Oh. My. Goodness. Next Post Bargain of the century! That makes complete sense! The other day I bought Grandpas great Escape for £12!!!!! Really expensive- at least it was worth it! I’ve got 1 book at home – Matilda – that’s been signed by Roald Dahl. I know! That’s why I went for Tilly because it means she’s special!